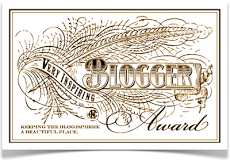 I have recently been nominated for the Very Inspiring Blogger Award by the wonderful Deanie Humphrys-Dunne. Thank you Deanie. As always, I'm not going to pick favorites. I nominate everyone who leaves a comment. You deserve it. Three things that have inspired me are my family, my blogger friends and the online community. When you have so many wonderful people in your life it is hard not to feel inspired and grateful. I can honestly say that Friday was one of the best days of my life. My family and I started off the morning with a sparkling wine breakfast and later in the day they took me to our local Chimp Haven and Lion Park. I was humbled and in awe of the beautiful creatures. All the animals were rescued from horrible circumstances and are living out the rest of their lives in captivity. It might sound cruel to have them in captivity, but I think it is better than the alternative of ending up on someone’s wall. 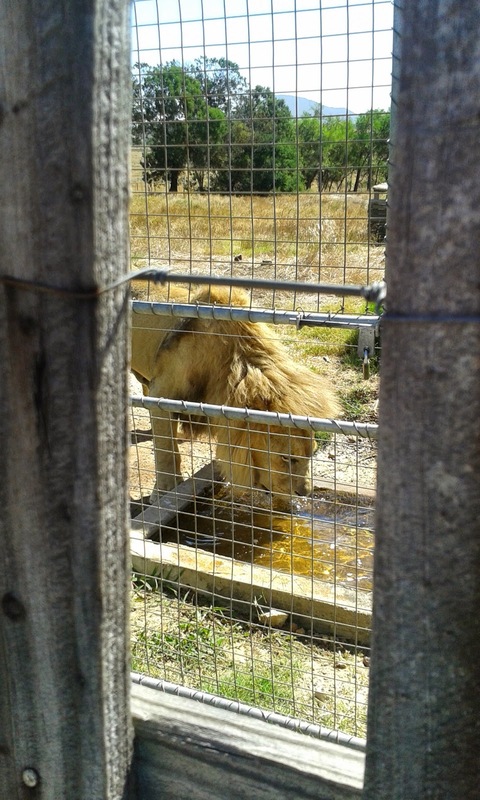 Not to mention that these days lions end up in canning facilities, where they are bred and killed for sport. When people hear I'm from South Africa, they always ask me if lions and all kinds of wild animals run around in our streets. Of course I roll my eyes, but I understand to some people South Africa is still a very mysterious place. To answer the question, no, wild animals do not run around in our streets. South Africa is modern and these days the only wild animals you will see in their natural element might be a few snakes or cockroaches and birds of course. 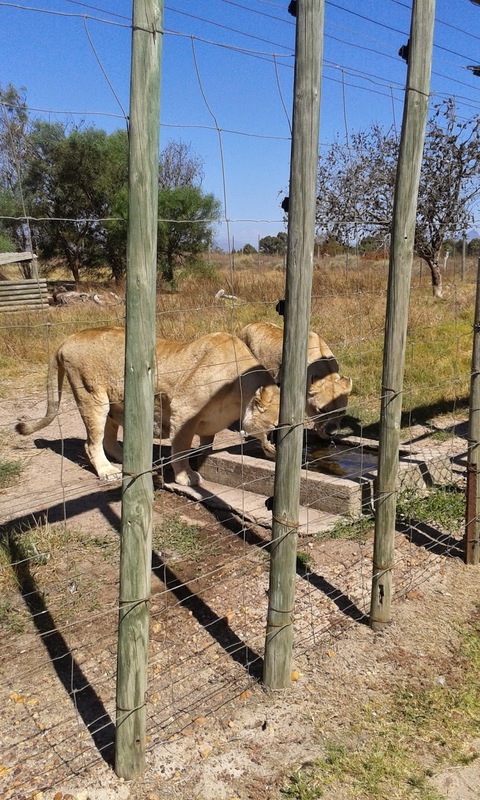 If you want to see things like "The Big Five" you will have to go to a wildlife reserve or game farm. On another note, I worked until the early morning hours the whole weekend and the past two days to finish my last portion of editing, which I completed this morning. I am so relieved. The next changes I make will hopefully come because an editor found faults for me to fix. I’m officially done butchering my novel. It only took me six years to get to this stage. Thank you to everyone who helped and encouraged me to get here. Thank you to the ever cool Annalisa Crawford for nominating me. Now I have to share details about my work in progress, The Amaranthine, Book 1 in my Thelum Series. Claire, an orphan, finds herself immersed in the world of immortals and creatures she could only have dreamed of. Luckily she is assigned a protector, Alex, who has the potential to be more. Together they fight to unleash Claire’s true potential and keep her safe from an unknown enemy. How long have you been working your WIP? I have been dedicated to this project for over 6 years. Claire. An orphan and outcast of society. What are some of the themes you’re exploring? Normally I don’t plan for themes, but I noticed some popping up. Good always triumphs evil. There being a purpose for everyone. Love makes everything better. Having a few trustworthy friends makes life worth living. What song would represent your story or MC? If you were casting your story as a movie, who would play your main character? A 22 year old Salma Hayek would be perfect for Claire. What is your favourite line in your WIP so far? The furniture was outdated and the colors depressing. It looked as if it belonged to a sixty-year-old spinster. All I was missing were a few cats. If your MC were to have a pet, what would it be? A wolf would be very cool. Claire would definitely like the idea. When do you think your WIP will be done? I hope to finally have it done this year, including professional editing. It is definitely overdue. Who is your favourite side character in your WIP and why? There are two vampires, Robert and Richard that appear in the book. They bring the humor and keep things light. What’s your MC’s favorite food? Claire loved junk food and desserts. More to the point, she hasn’t met a burger she didn’t like. 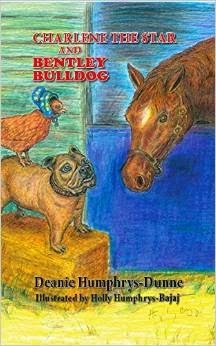 Talking about my novel wasn’t nearly as scary as I thought it would be. Once again, thank you Annalisa. I am supposed to tag a few fellow bloggers and because I’m not big on picking favourites, I nominate everyone who leaves a comment. I hope 2015 will be a fantastic year for everyone. 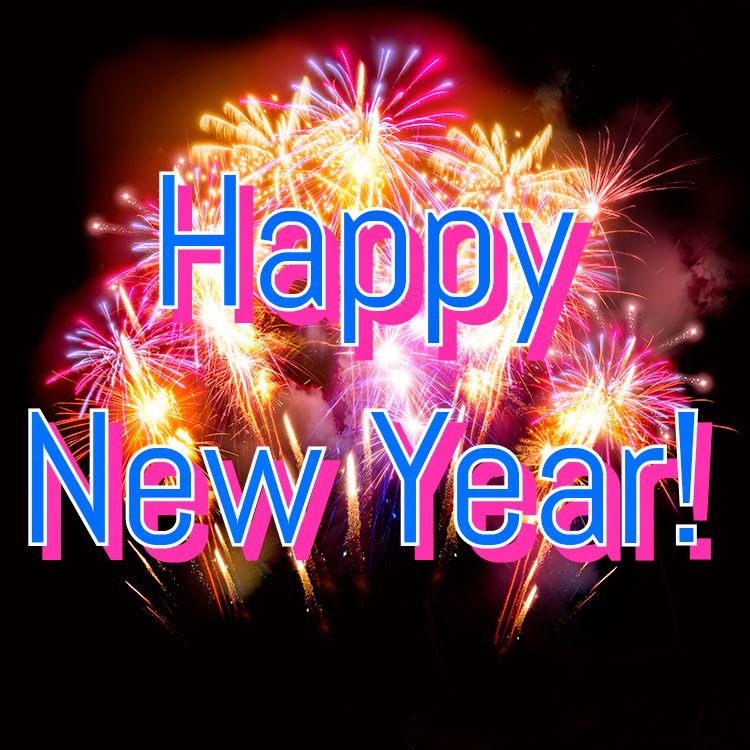 May we use this year to make our dreams and aspirations come true. Thank you for all the support in 2014. I really appreciate each and everyone of you.